Diced ham, cheddar and jack cheeses, with your choice of red and/or green chile. Sauteed mushrooms, onions, bell peppers, sprouts, diced tomatoes, guacamole, sour cream, cheddar and jack cheeses, with your choice of red and/or green chile. Diced bacon, sauteed bell peppers, diced tomatoes, guacamole, cheddar and jack cheeses, with your choice of red and/or green chile. Ham, bacon, sausage, carne adovada, sauteed mushrooms and onions with cheddar and jack cheeses, with your choice of red and/or green chile. Diced ham, sauteed bell peppers and onions with cheddar and jack cheeses and your choice of red and/or green chile. Sauteed spinach, mushrooms, cheddar and jack cheeses, with red and/or green chile. 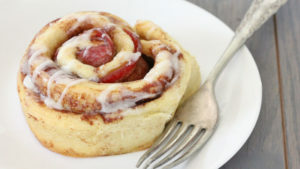 Breakfast at its finest! 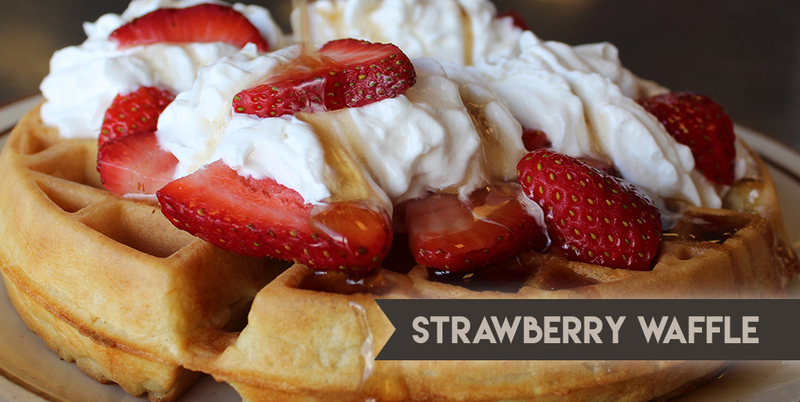 Belgian waffle topped with fresh strawberries and loads of sweet whipped cream. 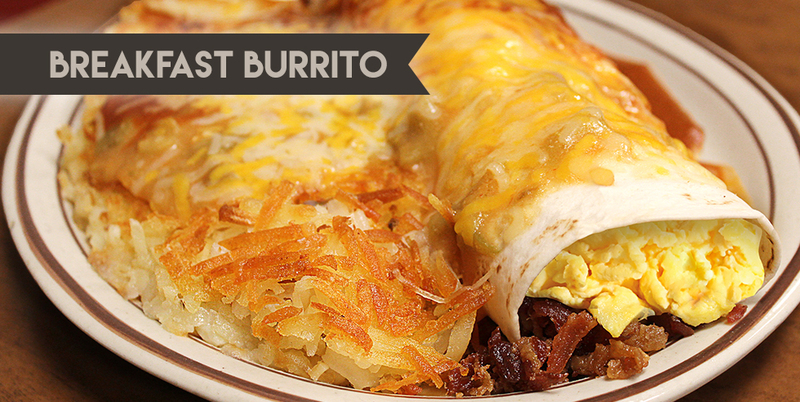 Three scrambled eggs folded inside a flour tortilla, smothered with your choice of red and/or green chile, cheddar and jack cheeses, served with fresh hash browns. Chicken slow cooked in a mild herb sauce. 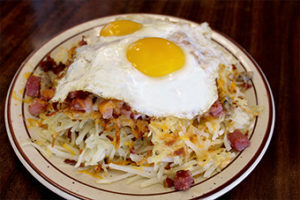 A mountain of our fresh hash browns with your choice of red and/or green chile, cheddar and jack cheeses, and served with a tortilla. Plates come with two eggs any style, bowls come with one egg. 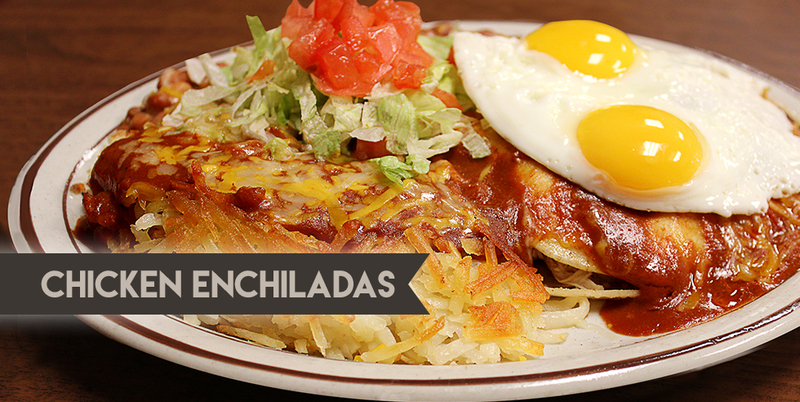 Topped with two eggs any style and served with fresh hash browns, beans, cheddar and jack cheeses, and your choice of red and/or green chile. Garnished with lettuce and tomatoes and served with a tortilla. 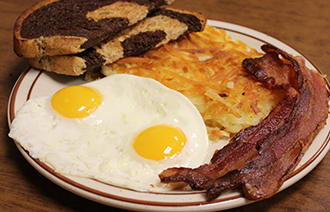 Fresh corned beef hash topped with two eggs any style, your choice of red and/or green chile, and a tortilla. Wow that's good! 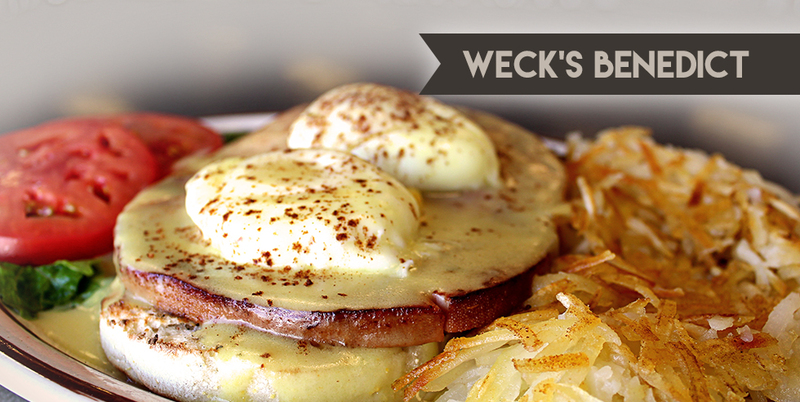 A fresh, flaky croissant, 2 eggs, cheddar cheese, and your choice of ham, sausage, bacon, or turkey sausage. Served with hash browns. Toasted biscuit, two sausage patties with two perfectly poached eggs and topped with creamy gravy, served with hash browns. Toasted English muffin topped with slow roasted pork carnitas, two perfectly poached eggs, and covered in our delicious red and green chile sauce. Garnished with cheddar jack cheese and cilantro, and a side of hash browns. Enough said! All are served with your choice of any two: homemade potato chips, crinkle wedge fries, gourmet onion rings, fresh fruit, cottage cheese, sweet potato fries, or substitute a small salad or bowl of soup for both sides. Fresh smoked turkey, ham, cheddar cheese, guacamole, bacon, fresh green chile, lettuce and tomato on griddled whole wheat. Bacon, lettuce, tomato, fresh green chile, guacamole and cheddar cheese on griddled Texas toast. Charbroiled chicken breast with guacamole, bacon, cheddar cheese, lettuce and tomato on toasted multi-grain. Your choice of roast beef or turkey, sauteed mushrooms, onions, bell pepper and mozzarella cheese on griddled sourdough. All of our burgers are one half pound of the finest USDA choice lean ground beef, served on a toasted specialty bun with lettuce, tomato, onion and pickle chips. All are served with your choice of any two: homemade potato chips, crinkle wedge fries, gourmet onion rings, fresh fruit, cottage cheese, sweet potato fries, or substitute a small salad or bowl of soup for both sides. A mouth-watering burger served open faced and smothered with green chile sauce and cheddar and jack cheeses. Charbroiled diced chicken breast, fresh green chile, cheddar and jack cheeses, diced tomatoes, black olives, cucumbers, carrots, bell peppers, croutons and sunflower seeds atop a bed of our romaine lettuce. Cheddar and jack cheeses, tomatoes, cucumbers, carrots, bell peppers, croutons and sunflower seeds atop a bed of our romaine lettuce. Flour tortillas filled with cheddar and jack cheeses, fresh green chile, and seasoned ground beef or shredded chicken. 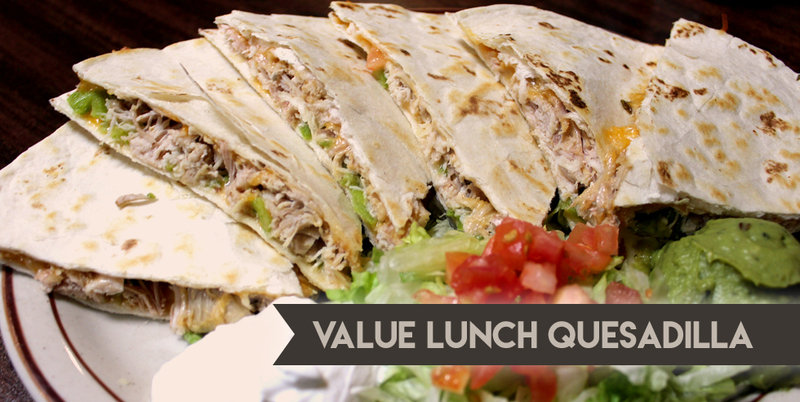 With your choice of carne adovada, shredded slow cooked chicken, carnitas, or savory seasoned ground beef. Served with fresh hash browns, beans, cheddar and jack cheeses, garnished with guacamole, sour cream, lettuce and tomatoes, and your choice of red and/or green chile. Two corn tortillas stacked and filled with shredded chicken. Served with beans and fresh hash browns topped with red and/or green chile. Garnished with lettuce, tomato, guacamole and sour cream. Choice of any of our sandwiches except burgers. Shredded lettuce, almonds, cream cheese, cucumbers, sunflower seeds, fresh alfalfa sprouts, carrots, tomatoes and bell peppers wrapped in a flour tortilla. 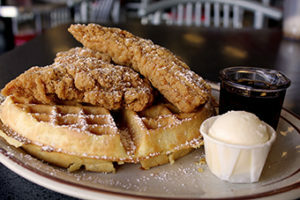 Served with your choice of dressing on the side and your choice of fresh fruit or cottage cheese. Flour Tortilla filled with cheddar and jack cheeses, Parmesan cheese, cream cheese, bell peppers, carrots, black olives, tomatoes, almonds, sunflower seeds and fresh green chile. All lunch items are served with one side. With or without cheese, served with lettuce and pickles. Two steamed corn tortillas stacked and filled with shredded chicken. 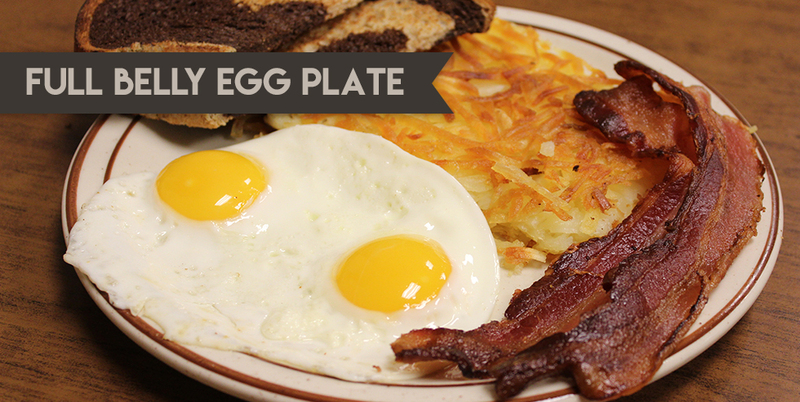 Served with fresh hash browns topped with fresh green chile. Garnished with lettuce, tomato, and sour cream.